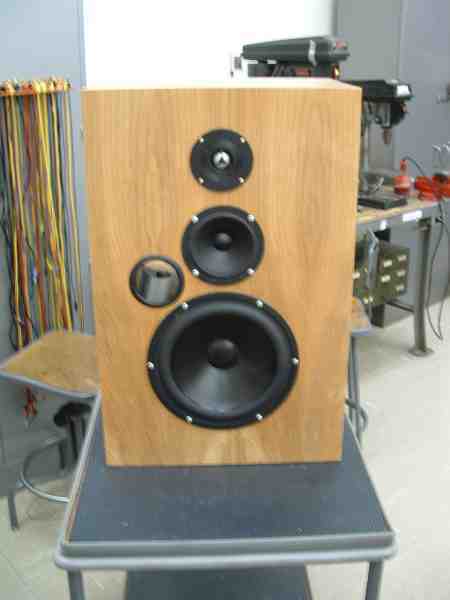 It appears that the Vifa woofer is now a Peerless woofer. The Peerless model number is PL26WR09. I have not seen one of these, but it appears to be the same driver with another name. Basic plans, crossover network, and list of parts. Picture of the crossover network installed in the bottom of the box. 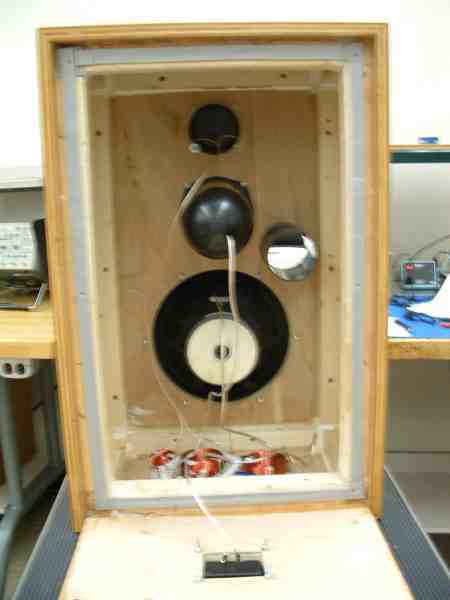 The student who built this system left off the Zobel netork on the woofer consisting of R1, R2, C1, and C2. Picture of the front of the box with components installed. 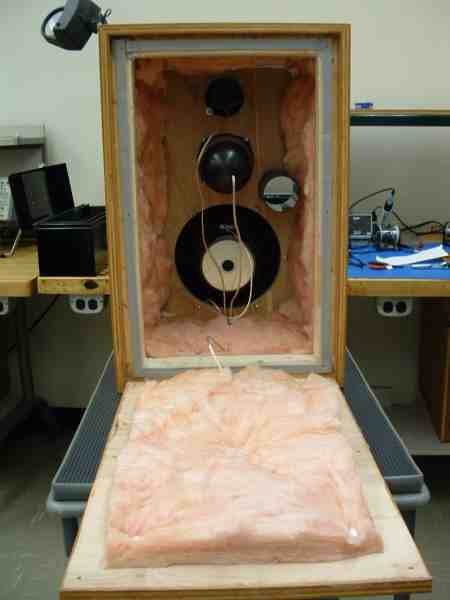 Picture of the inside of the box before the fiberglass is installed. 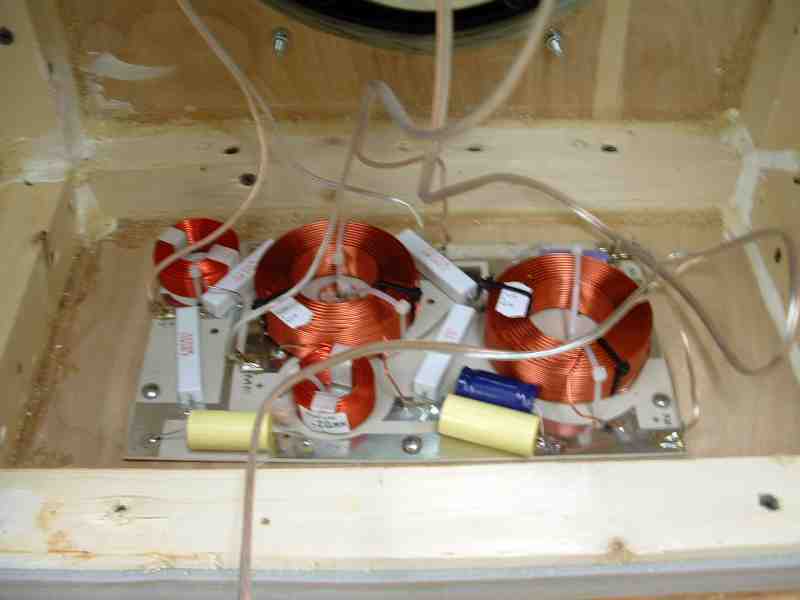 Picture of the inside of the box after the fiberglass is installed. I recommend fiberglass on the front panel also. It should not cover the woofer or port.